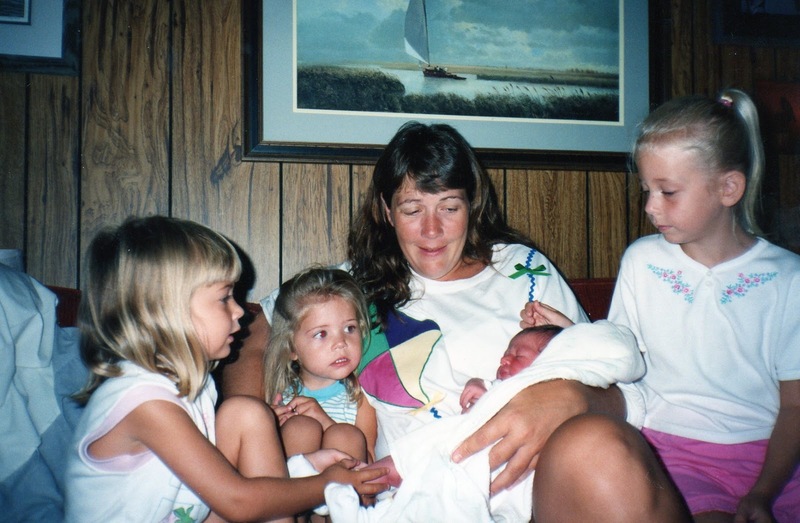 When our four daughters were growing up, they gave Hubs and myself many reasons to be proud. Hubs' pride was always understated because he's laid back like that. On the other hand, my display of pride resembled a more-than-normal-puffed-up-feathers-out-long-neck-beak-up Peacock. I suppose I should have been embarrassed by my blatant pride-filled display but I was not. To be honest, why should I have been embarrassed? I carried each of those babies for nine months AND birthed them. I was entitled and I do not do anything half-way. I shined that pride on the soccer field sidelines; at softball games; at dance and and band competitions; at chorus and orchestra performances; at the handing out of academic awards and college scholarships. Shoot, I was prancing proudly all over this town. "That's MY child out there winning everything." "See that one right there, the one that just scored? That's mine." "See the beautiful blond center front? My child." "The one right there with the marvelous bravado? MINE." "The one that sounds just like an angel from Heaven? MY daughter." "Our girls? Yes, we're four-for-four on attending college." Yepper doodle. I was THAT proud mom. Funny thing, though, when your lovelies grow up, things change. Oh, the pride is still there. Yes indeed. But since they've grown up, my pride is more in awe of the young adults that my girls have become. Now, our lovelies are 26, 24, 22, and 19. The oldest is married; the second is living it up in DC; the third one just graduated from college and is off to grad school; and the baby has just completed her sophomore year in college. They are not little any more. But the sense of pride that they instill within my heart of hearts is more than it ever was before. It is at this point, when they have reached young adulthood, that I have discovered my true source of pride. It's in the wonderful, independent, compassionate young women that they have grown up to be. My pride swells when they share their joys and sorrows with one another and their deepest secrets; knowing that each one is there for each other. My pride rises to new heights every time one of the lovelies shows her loyalty and gives her utmost support to a friend. My pride surges when I see one of them rise to the occasion and point out an injustice. My pride balloons every time one of my precious babes shows diligence and dedication to her work. My pride overflows when one of them stands her ground when confronted and defends her ideas or someone in need. My pride billows when my precious ones shed tears for those who are abused or neglected or hurt--both animal and human--and then rise up to fight such atrocities. My feathers will even fan out in proud display when I see that my girls know how to laugh at themselves. Yes, I am a proud mother. I have four of the most amazing daughters on the face of the earth. And, yes, I still have the trophies and certificates and letters of acceptance still proudly displayed throughout our home. But all of that pales in comparison to the pride I feel about the amazing adults they have become. This is my entry to the Proud Mom's Contest. Two proud moms will win $50! The contest is sponsored by UPrinting event ticket printing services. I am like you now too, in that that what makes this momma so proud is that my three girls are friends...they tell each other stuff that I do not know...they confide and stick up for each other and I am so happy about that! I did not have a sister so I love it when I see them bonding like that!!! Oh my dear friend, this was a great post. Is the contest open for judging, can I vote for you? Melody- You are so sweet! And I wish we HAD been standing beside one another as our girls were growing up- I'm sure we would all have been great friends! I think the sponsors choose the winners---but fingers crossed and a prayer would be greatly appreciated! Thank you so much! You have every right to be puffed up proud of your daughters. They are awesome but that's because mom and dad are pretty awesome people too. Even though I do not have children, I think the highest accomplishment anyone can achieve is to have raised compassionate, courageous, accomplished children, and you have done just that times 4, wow. You have every right to be proud of your lovelies, heck, I'm proud of them and I don't even know them. This was a beautiful post and not only do I hope you win, I hope you frame a copy for each of the girls. This was a beautiful tribute to your daughters and something they will cherish forever. This was a wonder post about your daughters and how they have become confident adults. I know exactly what you mean. My husband and I look in awe at our kids when we are with them. No one tought us how to raise contributing confident adults, we really only did what we thought was right. And with the help of God, they have all turned into wonderful confident adults. They have learned how to solve problems, they are always there for each other as well as us. All I cas say is that we are very lucky people & I thank God everyday! This was a marvellous post. It was absolutely lovely reading about your beautiful daughters. It sounds like you have a lot to be proud of. I only hope I can achieve the same with my daughter! I'm enjoying having young adult daughters...your girls are lovely! Clare- Thank you so much! You should come on up to Charleston and hang with us sometime! Alessandra- Thank you! I have no idea how Hubs and I got so blessed but I am grateful on a daily basis! Shawn-Thank you! DoodleBug called last night and said that the post made her cry because it means so much to her that I see them this way. Susan-You're so right! No one taught us how to raise these lovelies and yet, look how they turned out! To be honest, I spent a lot of time on my knees and, for the most part, did the opposite of what my parents did. Thank you! Annie- I'm not the least bit worried about Izzy! With a mom like you she can't help but grow up to be an amazing woman! Joyce-They really are the best, aren't they?! Thank you so much! I cried when I read this....maybe it's menopause or maybe it's just cuz I was agreeing with everything you said thinking of my own. All the worries and frets of 'what will happen when they leave home' are calmed. We are assured that God definitely had our backs when rearing them and has their backs now when we can't be there. I know exactly what you mean. I even tell that to people, just wait until your children become adults. It's so special! Debby- It's so true! Thanks for stopping by. I was having withdrawals yesterday while Blogger was down!